This beautiful mini pendant charm features an organic, irregular shaped multifaceted Blue Lace Agate gemstone, bezel set in 18ct Rose Gold Plated Vermeil on Sterling Silver. This pendant charm measures approximately 10mm high. Originating from both Brazil and India, Blue Lace Agate, the birthstone for February, is a Chalcedony stone that represents 'tranquillity'. 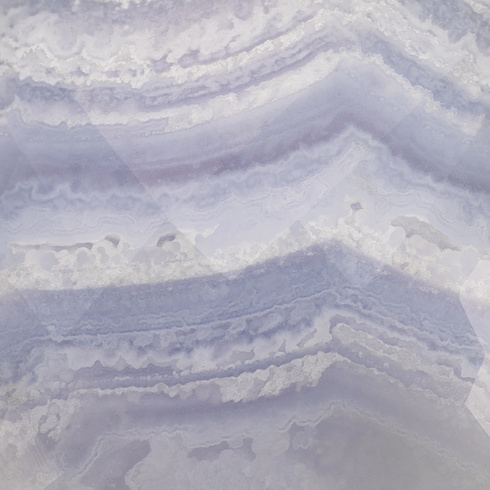 This stone is enhanced with dyes, giving it a soft blue-purple hue, patterned with lacey waves of white.